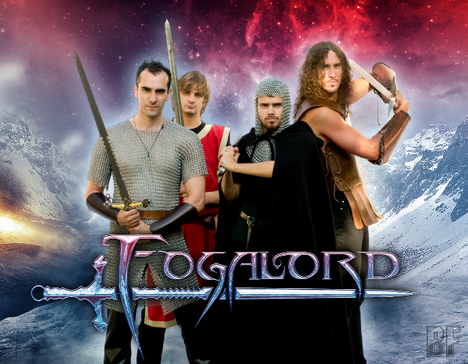 FOGALORD is an Italian symphonic and epic metal band, was created by Dany All, born in 1982 and already seen as keyboards player and composer with the Italian band Synthphonia Suprema. Tha band recorded 3 song demo in 2008 and released their debut album "A Legend To Believe In" through Limb Music on October 5th in 2012. In Japan it will be available on MP3 on amazon Japan from November 27th. This album consists in a concept story written by Dany, a legend of a warrior-god in a land of fog and mist. It is structured and composed as a Wagnerian opera. There are several 'leitmotiv' (the FogLord's theme, the Fog's theme, the Sword's theme, etc.) that return during the saga when their subjects appear in the story. Dany was very fascinated by Wagner during his studies at the Music Conservatory (he studied Piano and Composition) and now is as devoted admirer of the German Maestro. "A Legend To Believe In" comes alive through its hymn-like, epic songs, which gain power and energy from bombastic melodies. The classical influence seeps through every track and serves to support the historical statement of the tracks. The album was mixed at the well known Zenith Recording studio by Frank Andiver and mastered by Luigi Stefanini at New Sin Studio. 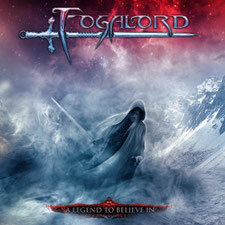 The cover artwork has been designed by Felipe Machado Franco (Rhapsody, Blind Guardian, Rage, Iron Savior etc. ).